CARACAS, April 14. /TASS/. 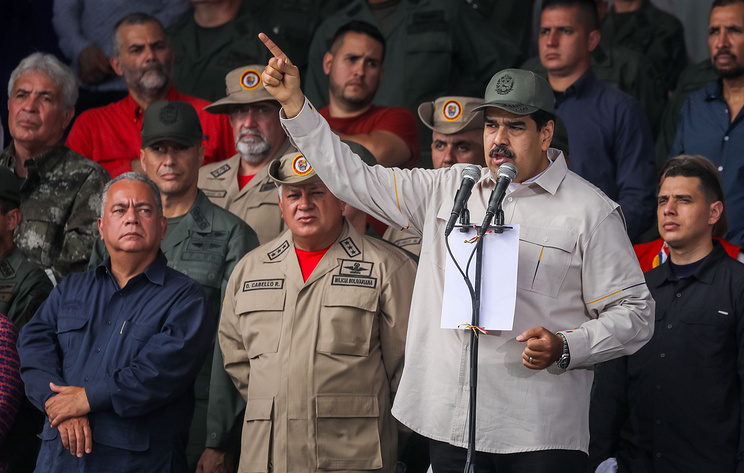 Venezuelan President Nicolas Maduro has sent a request to the Constitutional Assembly to integrate national militia into the Bolivarian Armed Forces. “I am asking the Constitutional Assembly and the General Staff to review the main charter of the Bolivarian Armed Forces, in order to grant a constitutional status to the Bolivarian national militia, to make it a part of the Armed Forces,” Maduro said in a speech broadcast live on Twitter on Saturday. The Venezuelan president earlier called on people to join the national militia to defend the country. Hey Buddy!, I found this information for you: "Venezuelan national militia to become part of armed forces — Maduro". Here is the website link: https://russophile.org/venezuelan-national-militia-to-become-part-of-armed-forces-maduro/. Thank you.